Relax at the full-service spa, where you can enjoy massages, body treatments, and facials. You're sure to appreciate the recreational amenities, which include 2 indoor and 2 outdoor swimming pools and a health club. This hotel also features complimentary wireless Internet access, babysitting/childcare (surcharge), and a fireplace in the lobby. 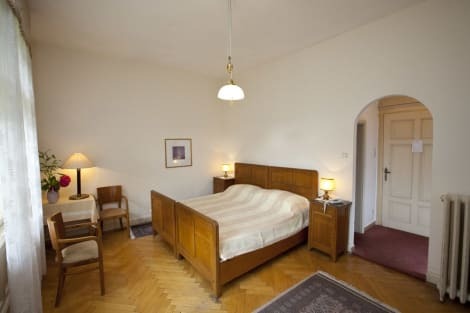 Centrally located in Merano, Hotel Westend is within a 15-minute walk of Kurhaus and Women’s Museum. This golf hotel is 0.6 mi (1 km) from Tennis Club and 0.8 mi (1.3 km) from Elisabeth Park. With a stay at Hotel Juliane, you'll be centrally located in Merano, within a 10-minute drive of Merano Thermal Baths and Ortler Ski Arena. This 4-star hotel is 18.6 mi (29.9 km) from Non Valley and 26.6 mi (42.8 km) from Vinschgau Valley. Hotel Europa Splendid is in the heart of Merano, within a 5-minute walk of Ortler Ski Arena and Merano Thermal Baths. This 4-star hotel is 20.8 mi (33.5 km) from Non Valley and 28.5 mi (45.9 km) from Vinschgau Valley. Take advantage of recreation opportunities such as an outdoor pool or take in the view from a rooftop terrace and a garden. Additional features at this Beaux Arts hotel include complimentary wireless Internet access, concierge services, and ski storage. A stay at Castel Rundegg places you in the heart of Merano, within a 5-minute drive of Trauttmansdorff Castle Gardens and Elisabeth Park. This 4-star hotel is 0.8 mi (1.4 km) from Kurhaus and 0.9 mi (1.4 km) from Merano Theatre. 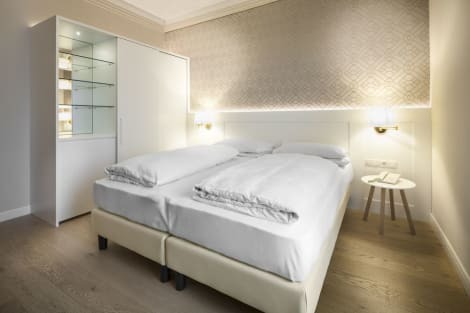 lastminute.com has a fantastic range of hotels in Merano, with everything from cheap hotels to luxurious five star accommodation available. We like to live up to our last minute name so remember you can book any one of our excellent Merano hotels up until midnight and stay the same night.